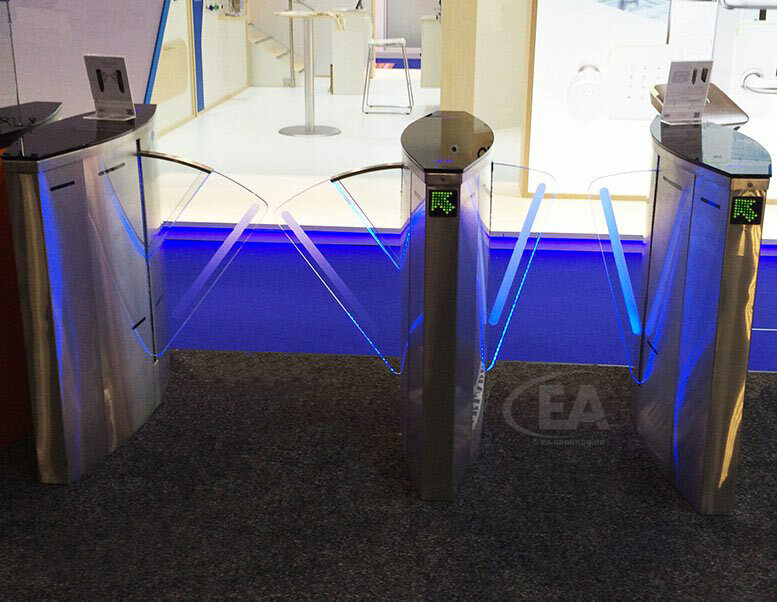 The EA Speed Lane is an elegant, efficient, yet cost effective space saving Speed Gate. It gives a pleasing visual appearance combined with high safety and pedestrian traffic flow capacity. 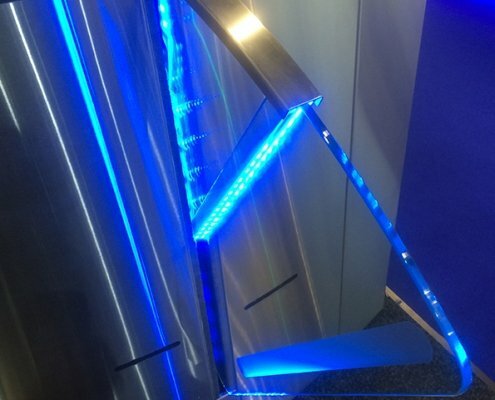 It is designed to aesthetically fit into any modern interior and provide an efficient, reliable security control against unauthorised pedestrian access. 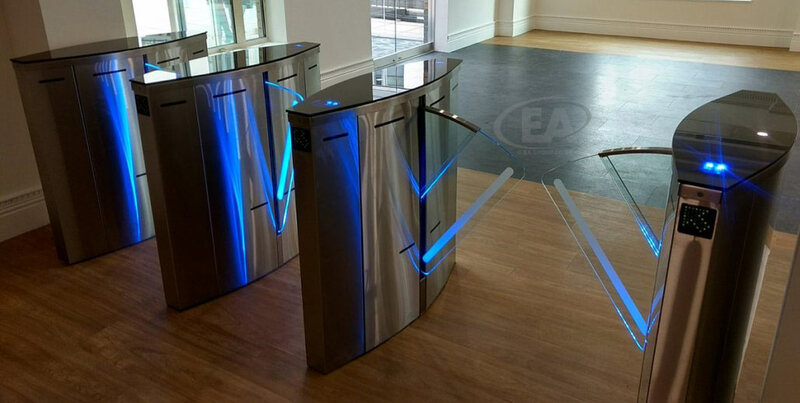 The EA Speed Lane turnstile operates on the principal of glass (or plastic) panels acting as barrier gates, that retract into the turnstile body upon an authorised signal (access control, push button etc). 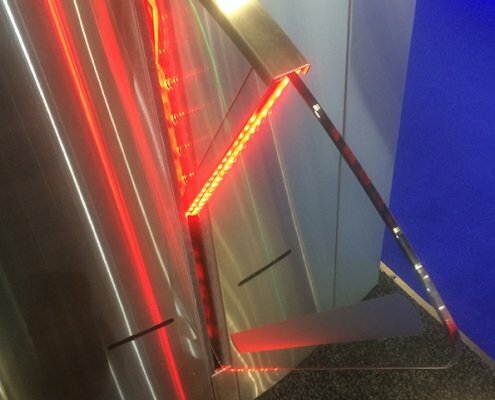 However the operation can also be programmed to operate in the reverse by only extending the panels out to block the lane in the absence of an authorised signal. 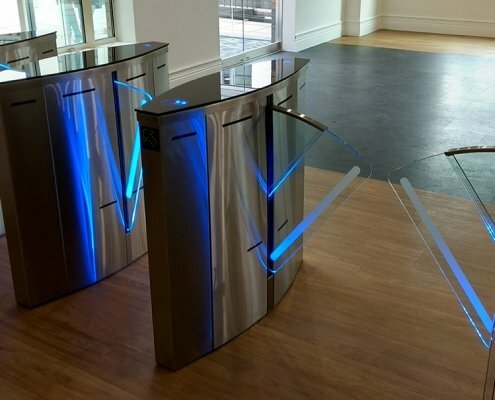 Turnstiles that use the principal of retracting glass panels into their body are also known as SpeedLane™ or FastLane™ turnstiles. 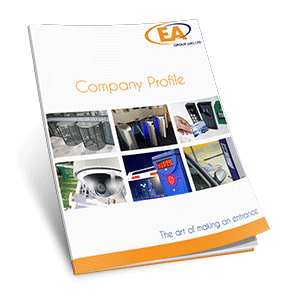 The EA Speed Lane Wide is fundamentally the same as our standard EA Speed Lane model, however it incorporates clever telescopic extended wings for applications where wider access is required. 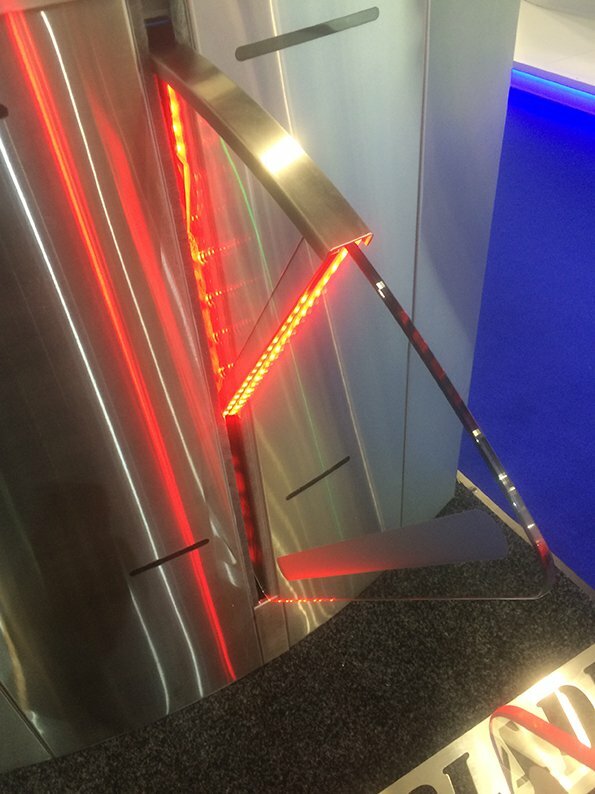 Having a passage width of 900mm this model speed gate provides an ideal DDA compliant solution for wheel chair access as well as equipment such as cleaning machines, trolleys etc. 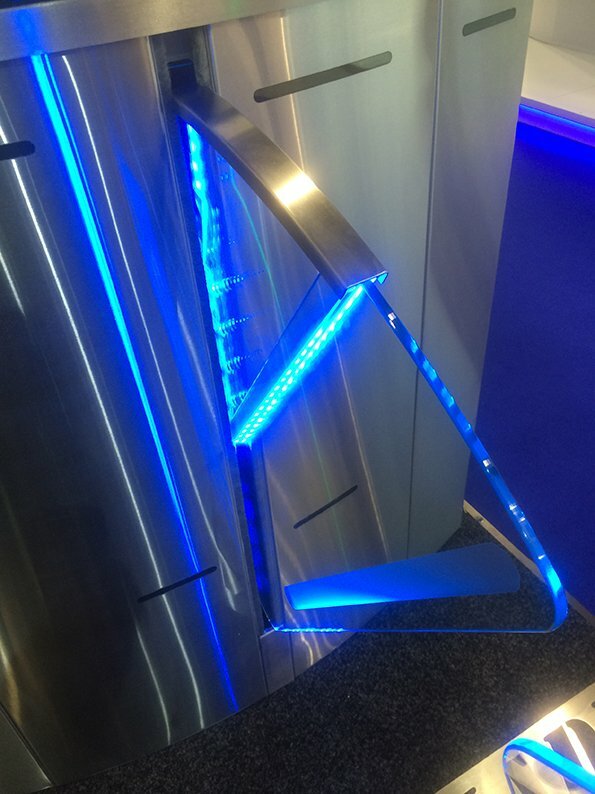 In addition, this wide variation model can be configured in a row with standard width Speed Lane turnstiles as both of these models share the same aesthetics and cabinet footprint. EA Speed Lane can operate in normally closed and normally open mode. In the case of power voltage failure both access directions are free. 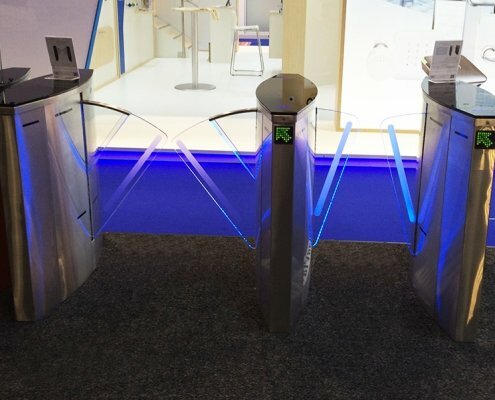 The turnstile is controlled manually or by a control system. 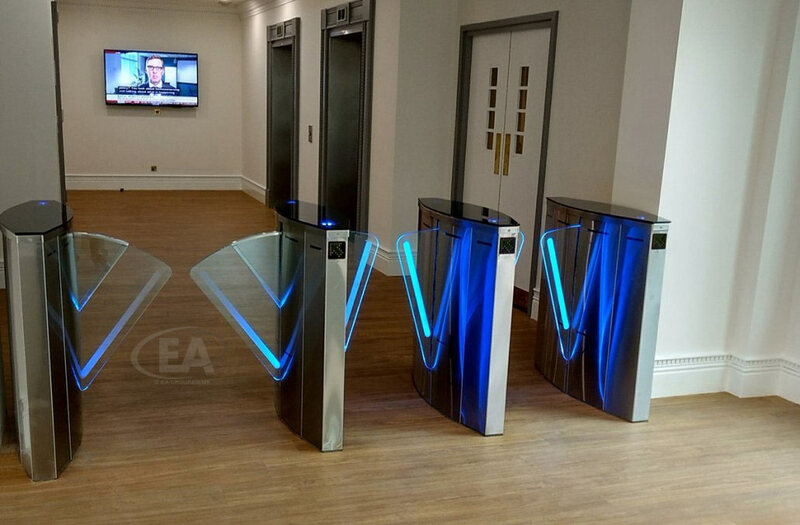 The glass panels are opened/closed in 0.8 seconds providing a high traffic flow capacity (up to 30 persons per minute) without safety inhibition. 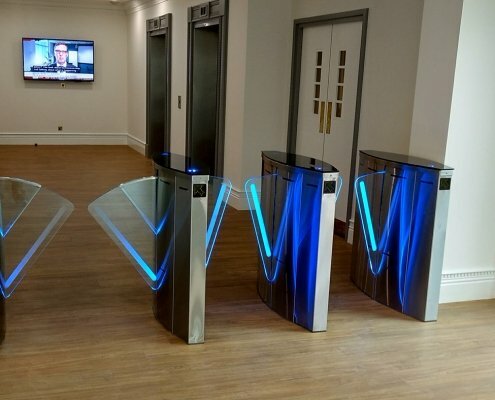 Our Speed Lane SpeedGates have been installed in many different buildings and within our brochure ‘Controlled Access Solutions’, you will see some of these installations with other useful information. 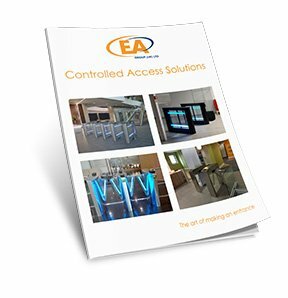 You can download the PDF datasheet for the EA Speed Lane here, which includes dimensions and specifications to assist you in understanding this model of speed gate type turnstiles.